See Enoeda, Kanazawa, Nito, Tomita as they demonstrate their particular brand of Shotokan. These clips were all recorded over 25 years ago, and are unique archive clips. Enoeda is seen in his early days at the JKA (circa 1960) as well as in the 1970s. Kanazawa, Asano, Nito are shown performing both kata and kumite. 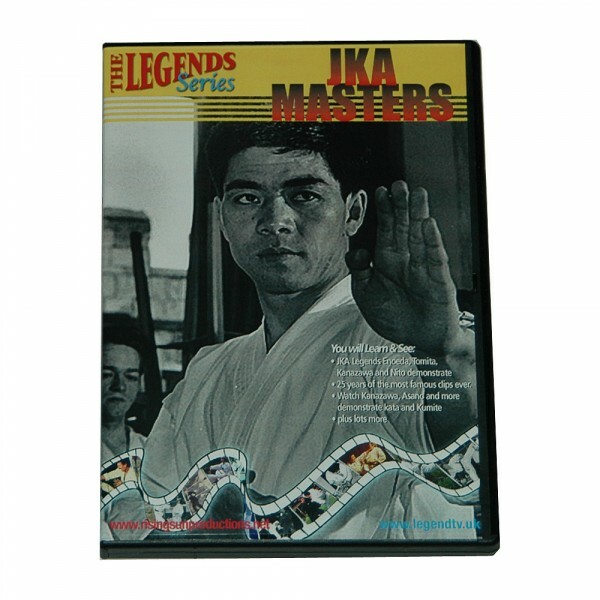 Weiterführende Links zu "DVD JKA Masters"
Kundenbewertungen für "DVD JKA Masters"